AMMONNEWS - In what is considered one of the strangest tribal ruling, a Yemeni infant called Lian ended up in an orphanage, days after her birth and despite the fact that both of her parents are alive. The strange part is actually the reason behind her ending up in the orphanage. 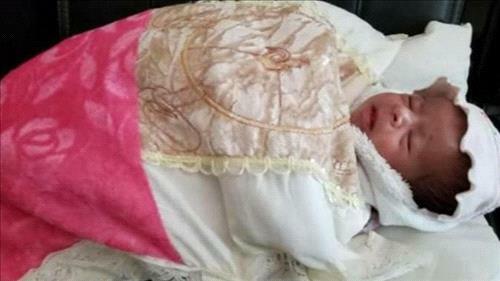 According to Mohamed al-Mazahem, a local journalist who reported on the incident, the administration of Dar al-Rahma orphanage in the city of Ibb north of Yemen received the baby from a hospital in Sana’a when the infant wasn’t yet two weeks old. He reported that the maternity section in the hospital had two deliveries the day when Lian was born, but unfortunately one of the two babies delivered died due to complications, leaving the ward staff confused over deciding which female is the mother of the alive infant. This messy situation led the families of the two babies to a fight around baby Lian parentage, and consequently calling for a tribal chief intervention to solve this problem, but the strangest part was the verdict issued, depriving both families of baby Lian, who ended up in the orphanage. Despite the strangeness of the case, social media users slammed the hospital for its recklessness and why it did not revert to a DNA test for the infant, denouncing the absence of security officials in a case of this magnitude.